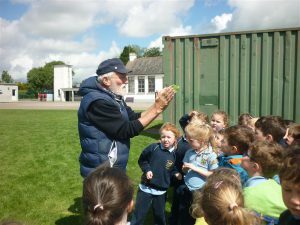 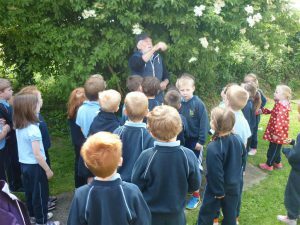 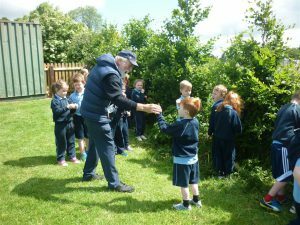 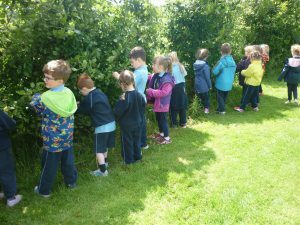 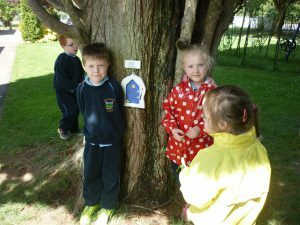 Paddy Madden, from The Heritage in Schools Council, opened the minds of junior infants to the world of nature. 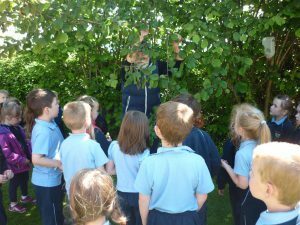 On our nature walk we identified trees in our school and learned some interesting facts. 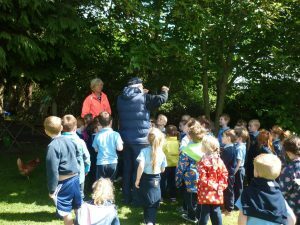 We discovered that the leaves of the beech tree are asymmetrical, elderflower cordial can be made from the flower of the elder tree and that the wood of the hazel tree is very flexible. 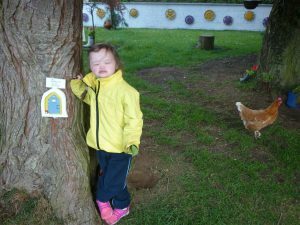 Enjoy the pictures below.